Whether you are getting rid of unsightly unused latch face cutouts or covering lockset holes and strike cutouts, look to First Watch® Security for your adapter plates and covers. 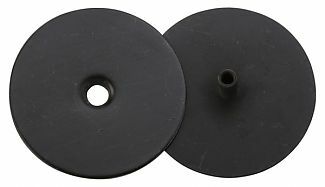 Covers lockset holes from 1/2” to 2-1/8”. Fits doors up to 1-3/4” thick.